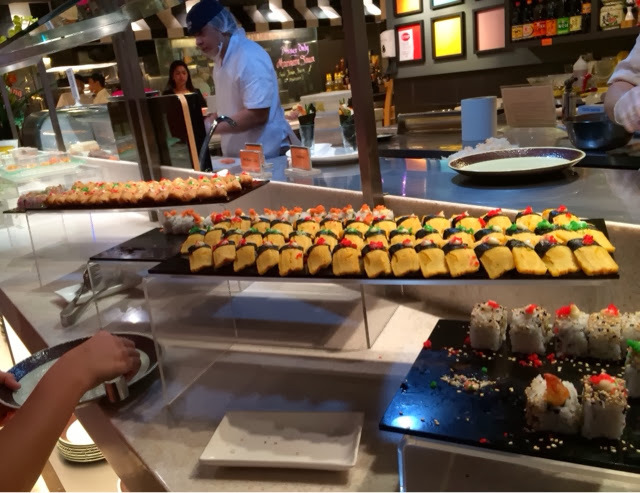 Today, we decided to try Buffet Town after hearing great reviews from our friend. The price sounded reasonable for the spread that it was offering. Please check out their website for their complete spread as I didn't take pictures of all the stations. Firstly, we needed to pay before entering. 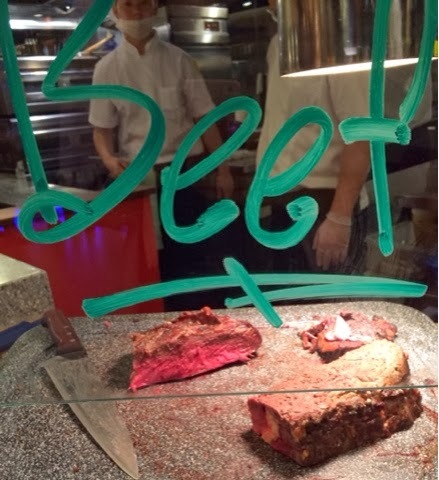 Then the burly guy stamped a luminous chop on our hands, just like going to a theme park or disco. This was so not classy. It was also very noisy! 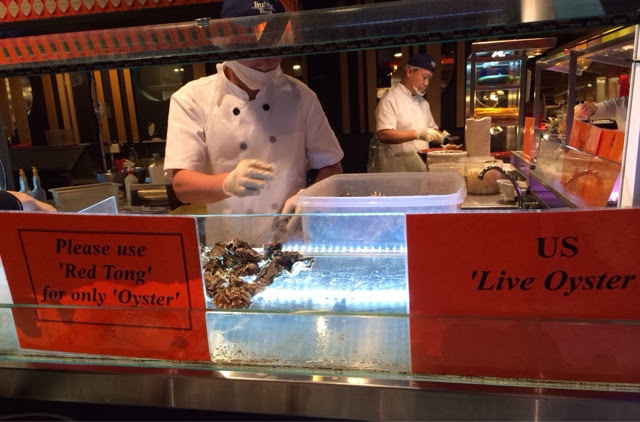 There was a long queue for supposedly "Live" oysters but they didn't move. So why was there a queue? Because the station IC opened the shells one by one for you. 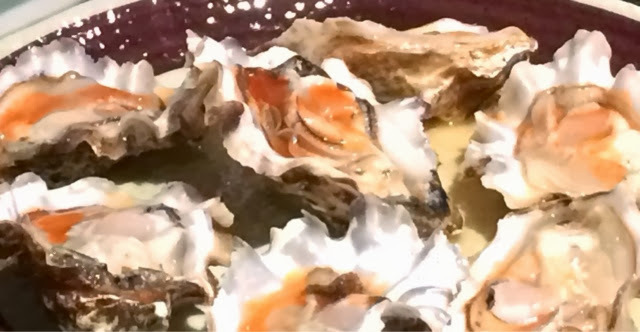 I thought it was very drama because the oysters tasted similar to any decent hotel offering. The cutlery were plastic so it was more of a Sakura place than a classy one. 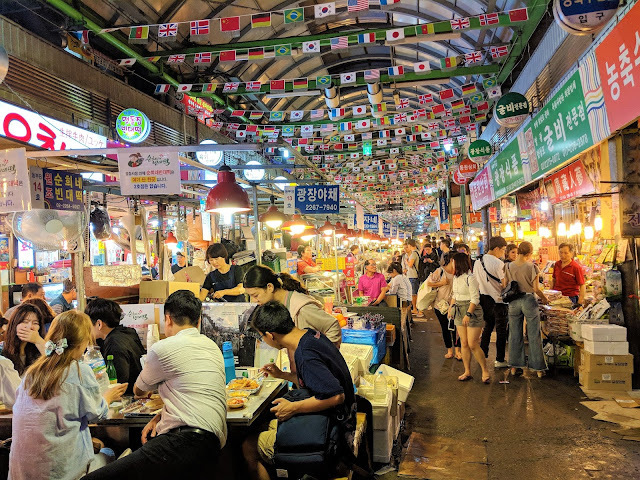 Although the restaurant lighting was dim and supposedly cosy, the atmosphere felt like a marketplace. I still preferred the hotel buffet setting. 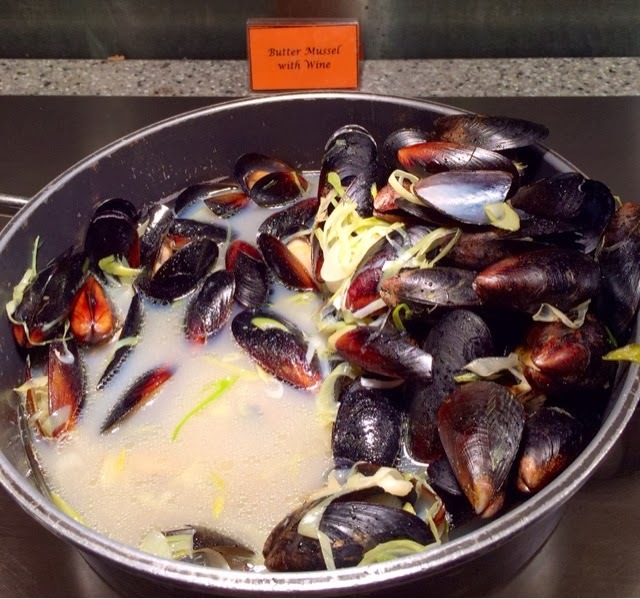 Butter Mussels with wine is a must try! I ate two oysters. Both of them were plump and juicy. One of them had a fishy taste while the other tasted very fresh. The sauces for the oysters were oriental based. I was looking for wine based but to no avail. There was no sand in them. The shishamo fish had the aroma of char grilled food. The eggs were plentiful and tasty. 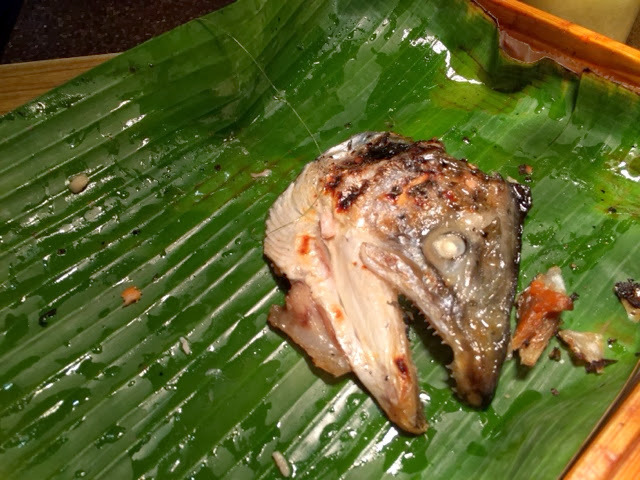 I was pleasantly surprised to find my favourite food - Salmon Fish Head! I ate 3 of them. They were the highlight of my dinner for being fresh. If you ever visit Buffet Town, remember to request for Salmon Belly sashimi. It was so fresh and melted in my mouth. I tried the normal version which was not sweet at all. Later in the evening, they offered White Tuna. I tried a piece and liked it. It tasted similar to swordfish sashimi. I tried one of the prawn sushi with sesame seeds. It was very average. 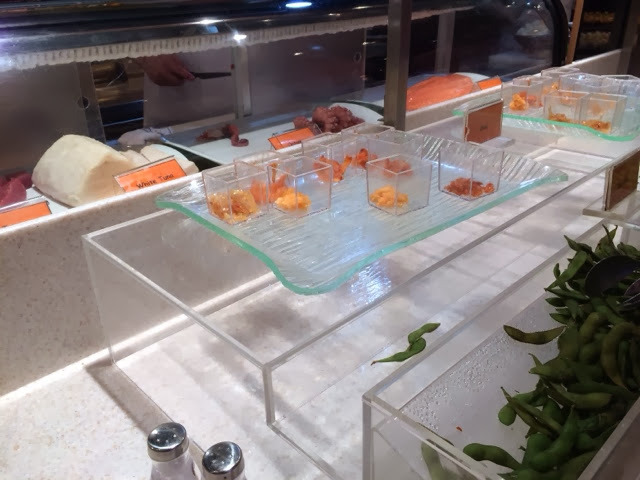 The star of the sushi station was the Salmon sushi. There was a small sign that asked customers to request for it. The salmon melted in my mouth along with the tiny piece of sticky rice - must try. Overall the section was quite limited. No cold soba. The tempura were not located in the same location. They were at a corner in another part of the restaurant. I was surprised to see Babi Ponteh at a corner with Nonya Curry and Nonya Chap Chai. 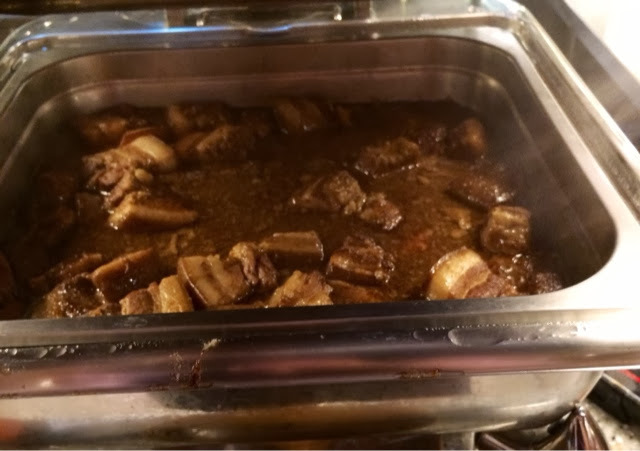 The Babi Ponteh was soft and infused with strong tasty flavors. There was a chicken rice stall but I didn't try. At the same stall, there was a small sign for White Fungus Chicken soup. The soup tasted authentic and not laced with MSG. The fungus taste was quite evident. It was a nice soup and worth a try. I saw carrot cake, salmon porridge and a row of around 8 dishes whereby you could buy a better version from your Cai Fan stall - mostly meat and tou fu. They did not look appetizing enough for me to try. 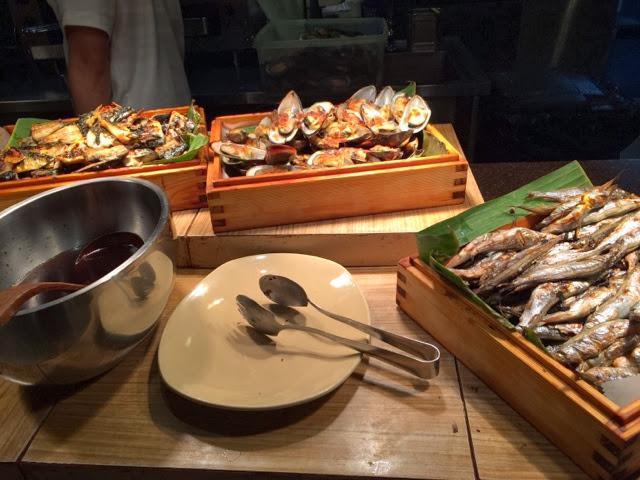 The Rojak stall was located next to the Cold seafood section. The laksa was worth trying as it was a good balance of spice and coconut milk. I still preferred the Katong version. The satays were good but you had to hang around and wait for them. The picture shows fried chicken wings, fries, dory fish and roasted chicken. Once again, not appetizing enough to entice me. Buffet Town also had a pizza and pasta station. They would cook the pasta on the spot - Agli Olio, Carbonara, Marinara. I tried the butter shaved corn at this station. The sweet buttery taste of the corn was very comforting. Must try if you are a sweet corn lover. They had Minestrone and mushroom soup which tasted sour. 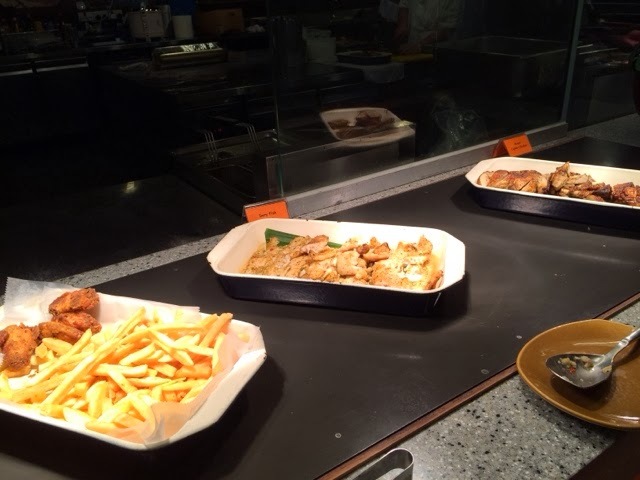 The station offered items like chicken, squid and vegetables. Nothing special so I didn't order. The second highlight for me was that Buffet Town had a station that specially made traditional coffee and tea. I love to drink Kopitiam kopi or teh and this was often missing in buffets. Definitely a plus point for me. The traditional drinks station also served soya bean drink and bean curd. Buffet Town also had a few drinks dispensary machines that you could find at Sakura and Seoul Garden. 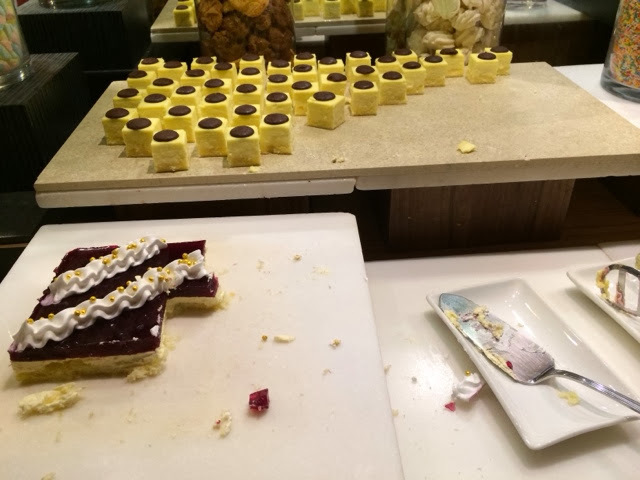 Overall, I was disappointed with the dessert section because they did not serve quality cakes. 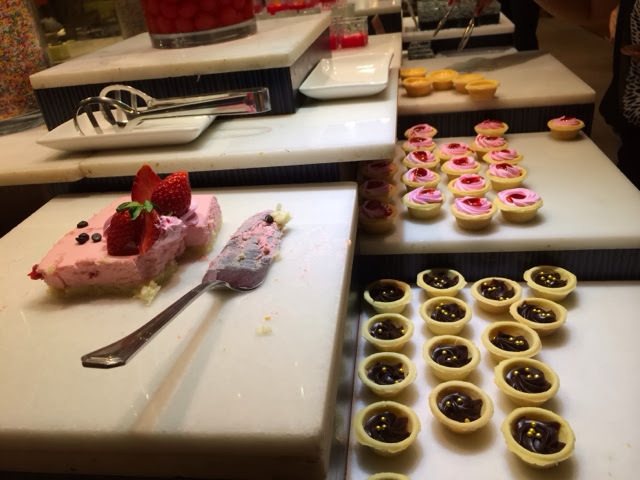 I tried the mini cheesecake and it was bland with a sourish aftertaste. They also had jellies and fresh fruits. For hot desserts, I found Cheng Teng and Barley. I poured the Barley drink into a cup instead. It was hot and not too sweet. I tried the waffle and crepe. The waffle was not buttery at all. It tasted like dough. The crepe was better. At least it was crispy. The ice cream selection was limited. Four flavors and no chocolate. The ice cream were of low quality. The Yuzu sorbet was the only interesting offering which tasted average. Buffet Town had banana fritters and grilled bananas. They had a chill crab station but the man tou was hard and the sauce too spicy. 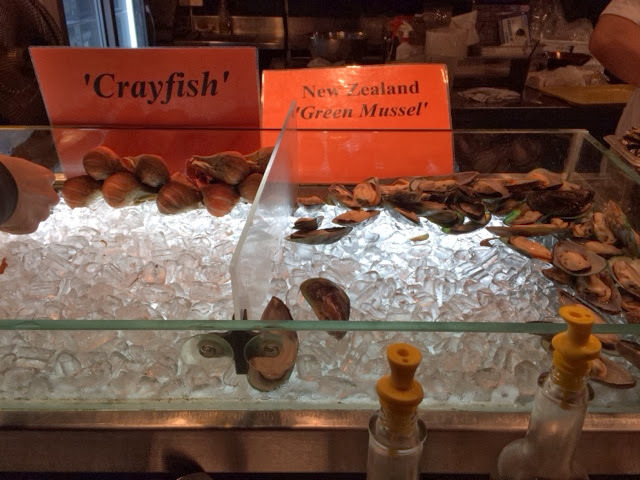 Most importantly, the crab was not sweet. It did have many items and quite a few stations. 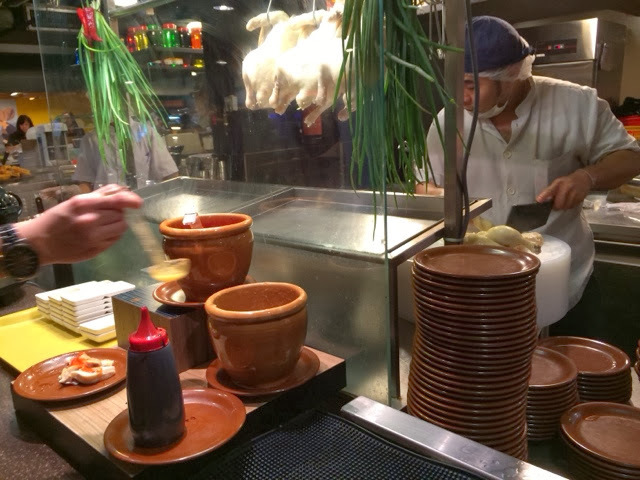 At the beginning, the staff clearing the plates were very efficient. During the second half, they vanished probably to take their dinner. The next table was empty and the customers just left so we left our uncleared plates there. The stations IC were not approachable. The crowd was mostly working crowd looking forward to a sumptuous meal after a day's work. It was very crowded for a Thursday dinner. Good place for gathering with colleagues but nothing chic or special about the place.